Budgets are like diets. You have to find the right kind to suit your personality. If you tell me that I have to eat 1/4 cup of cottage cheese, half a grapefruit and two sticks of celery for breakfast, I’m going to want bacon and eggs. If you tell me I only have $23.40 cents for entertainment this month, I’m going to want dinner and a Broadway show for two. I don’t like restrictive diets just as I don’t like restrictive budgets. For others, having tight boundaries is what they need to budget properly. They may be only able to stay on a budget when the boundaries are firm. Here are a number of ways to budget. This is a super tight budget. Every dollar is accounted for and written down before the month begins. Every category has a limit and once that limit is reached, spending stops. I know a number of people that use this system and it seems to work for them. People who use the ‘envelope system’ are working with a zero-based budget. For me it doesn’t work. Life happens. Unexpected expenses are inevitable. Having a zero-based budget creates stress in my life and makes me want to rebel. The flex budget is similar to the zero based budget except that the categories are more flexible. Instead of categories that might include groceries, clothing, kids, entertainment, eating out, personal stuff, gifts, etc etc, there are fixed expenses and there is ‘spending money’. The spending money is for whatever category you choose. The total amount for spending money is fixed but there is a large amount of flexibility on how the amount is spent. One month you may want to eat out more and spend less on clothing. The next you may buy more gifts and spend less on groceries. It’s your choice month to month how that fixed amount is spent. With a flex budget you are still going to want to track your spending so that you know how much spending money you have left each month. The reverse budget is super simple. You pay yourself first. You live off the rest. You avoid consumer debt. Again, it’s very similar to the flex budget in terms of it’s flexibility. The difference is that all savings (RRSPs, RESPs, TFSAs, investments) go out first. Fixed expenses are taken off second and the rest is to do with as you please. With the reverse budget there is no need to track spending unless you are particularly curious about where your money went. If you stick with cash or debit and don’t use credit, over time it won’t matter. You’ll be spending less than you make. Only you know yourself well enough to know what kind of budget will work for you. Remember the same diet doesn’t work for everyone. Even though it comes down to simple math; eat less than you burn and spend less than you make, a budget or a diet plan gives you the tools you need to successfully carry out your goals. You need to find a system that works for you. Budgets shouldn’t be a chore. They are a tool to help you create success on your road to wealth. Which budget most closely represents the type you use? Kathryn works in public relations and training for a non profit. In her off hours, she volunteers as a financial coach helping ordinary Canadians with the basics of money management. Her passions include personal finance and adult education. Kathryn, along with her husband and two children live in Ontario. I do a reverse budget. Money comes out every paycheck and goes into savings the I’m left with the rest. I try to spend x dollars, so if I don’t spend it prior to the next pay day, I put that into savings. The one thing I got out of the Automatic Millionaire is that I’ve set my accounts to automatically do the savings and I’m happy to not notice it. I follow the philosophy laid out in your money or your life (buy Dominguez & Robbins). I track all of our expenses to the penny and categorize them. At the end of the year my wife and I evaluate our spending against previous years (at first we did it monthly, but it has ben 10 years now) and forecast next years expenses based on a combination of the actual data and whether we feel we the expeditures in that category provided good value for our life energy (the time it took to earn the money – after considering all work related expenses). Strictly speaking it is not budgetting, but rather forecasting and conscious consumption. Monthly I look for surplusses an use them to pay down our mortgage (until recently when we became mortgage free) or invest. This requires my conscious decision and is not a pay yourself first strategy. I have found that because this approach suits my frugal personality I generally make maximimum contributions to registered accounts at the begining of the new year from money from excess cashflow that I had been storing in high interest savings accounts until I had new contribution room available. Now that my mortgage is paid off I will be revising my financial plan and goals to include the accumulation of a tax efficient non-registered portfolio whereas previously my focus was always maxing out all registered options and paying my mortgage down very agressively. The reason I like your money or your life’s philosphy is it is not about restricting yourself, but rather about making conscious choices about purchases and understanding the opportunity costs. It is not unusual for us to look at a category (for example recreation:camping) and say we want to increase our expenditures in that area because it is an activity we value highly. Great post Kathryn. We used to be a zero based budget where I used to track every penny in MS Money. We’ve gotten to the point where we know where our expenses will be, so we’re more of the pay ourselves first, and the rest handles itself. DavidV & RJ: You’ve hit on two of my favourite personal finance books: The Automatic Millionaire and Your Money or Your Life. I highly recommend both for those who haven’t read them yet. FT: Thanks! Same here. We use to track everything down to the penny but now we’re lean towards more of a Reverse Budget now that our expenses have stabilized. We use some sort of Sandwich budget. We pay ourselves first in TFSA, RRSP and RESP, then pay fixed expenses. At the end of the month any money left over is placed in our investment account to be merged with what we invest in our TFSA for the next month. All our expenses are paid via a credit card so we earn points and I can track our expenses with the credit card statement. There are no set expenses to any category and we know by experience that if we have a big shopping day we need to cut out dinners out for that month. We have realized many years back that spending a little less that you make saves you so much money in interest paid that you can enjoy more of the things you want in the long run. Admittedly, i”m more playing catch-up as I used to be able to pre-pay my credit card for the following month, but a couple things came up that pushed me back, and I didn’t want to dip into my savings unless absolutely necessary. So far it works excellently. I never enjoyed tracking every purchase, because it just made me feel guilty… even though I rarely buy anything except for groceries. And somehow with the flex budget I always went over what I budgeted, again making me feel guilty. My fiance and I used to keep track of every penny spent but now since it is all on the credit card (we break down the bill at the end of each month and analyze where we could have done better). Like RJ, I prefer to use an annual budget for forecasting, and not as a tool to limit or control my spending. The main reason my fiancee and I even bother with a budget is to reassure ourselves that our current rate of spending still allows us to meet our savings goals. It also gives us some idea what we can afford for a vacation, vehicle, or other big purchases. For the day-to-day expenses and smaller luxuries, we don’t worry too much about what we can afford to spend. We’re both fairly frugal, and being DINKs, there’s plenty of disposable income to burn. My fiancee loves to watch Till Debt Do Us Part, where a financial coach like Kathryn shows a couple how bad they’ve messed up their financial situation, and then gives them a zero-based budget in the form of a bunch of “money jars”, though I think there’s a miscellaneous jar that makes it more of a flex-budget. These people on the show have never been taught to be responsible with their money, and the coach comes in like a mother figure and lays down the law. It seems to work quite well on the show, but we never get to see if the couple falls off the wagon a few months later. What’s your take on this Kathryn? Do these kinds of people actually stick with the advice you give them, or do they go back to driving themselves further into debt? Elbyron: Good questions. I find that with some people the ‘light goes on’ and with a few coaching sessions (much like are in Till Debt Do Us Part) some are on their way to debt free living and only wish they’d found help earlier. Others either do it for someone else or do it but do the homework just to show me they’ve done it but long lasting changes aren’t there. So far, I’d guess it’s at 50/50. Half the people I’ve coached really catch on and their financial lives are changed for good. The other half, not so much. I’m trying to find ways to increase the stats. Again much like weight loss, old habits die hard and 95% of people put the weight back on. Thanks for the great past Kathryn. Reverse budget guy over here. RSP/TFSA first, fixed expenses, food, gas etc next. Anything left over I spend. If i dont need to spend, I will funnel money into a savings account, or pre pay mortgage etc. Either way the chequeing account is depleted just before payday. It’s all about balance. On one hand I dont believe in not saving, but I also know/work with people who are beyond frugal, obsessed with not spending money. I dont want to be the cricket who plays all summer and dies in the winter, but I often wonder what is the point of not spending money on life? Currently, I’m using Zero-budget and its work well to me. What I do is I pay the bills. I’ve never really budgeted because I’ve always spent less than I make and I get a great deal more pleasure out of saving than spending. But, I’d have to say that reverse budgeting is the closest to the way I’ve lived my life both single and as a couple. It is even easier now that I don’t have a very heavily weighted variable based compensation plan. My income is very regular now and that helps a great deal. Whenever my account balance gets too large for comfort, I apply it against the mortgage. When it gets too low for my comfort, I shut down discretionary spending until it is back inline. I’m a reverse budgeter. I max out both my RSP and TFSA and some to non-registered accounts. I started with the goal of saving a certain percentage of my gross income (spread across the above-mentioned media), and trimmed back discretionary spending as required. Plenty happy with that. As appropriate, I may increase the desired saving percentage. Kathryn, this is the first time I’ve seen budgeting compared with dieting, and you tie the two together wonderfully! Creator of the Money Mindset Mob. Enthusiastic believer in independent teens. Great post Kathryn! It is absolutely important for people to choose the type of budgeting which fits well with their lifestyle. At the beginning, it may be tough to adapt however, choosing the right style can really help someone change the way they manage their money and eventually increase their savings efficiently. 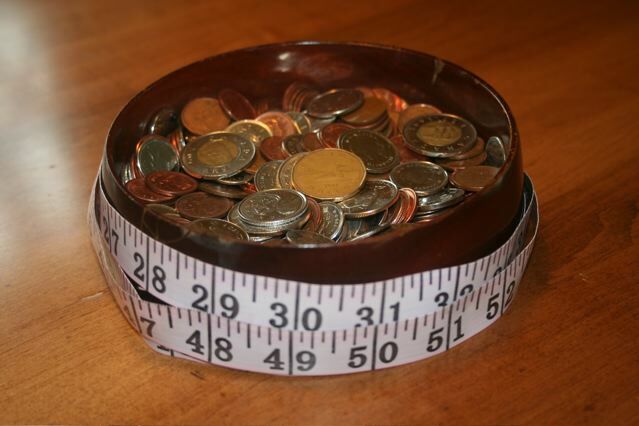 Great link between dieting and budgeting! In essence, isn’t a reverse budget the same as the zero based budget?!?! I start with $500, save, invest, pay fixed expenses, and plan out my discretionary expenses (different envelopes) leaving zero unaccounted for – doesn’t seem much different to start with $500, save, invest, pay fixed expenses and set aside the rest (one big envelope) for my discretionary expenses. I believe the difference is psychological. Your comparison between a budget an a diet is great. Previous post: Worst Case Scenario – How Long Will Your Savings Last?